Whoever said social media was losing steam was mistaken. In the business world, social media has never been more important than it is right now. Companies that have found a way to utilize social media have done so by harmonizing their brand so that it resonates with their consumers. Which is as what you can expect social media to continue doing as businesses keep trying to one-up each other. The playing field is full. Businesses nowadays are going to have to keep trying to publish content that is engaging, relevant and inspiring for people to take action in. And, no better battlefield is there than on the front lines of social media network sites. Use social media profiles to listen to your customers. This is one of the best ways to market your business on social media platforms without the help of the best contact manager. Listen to customer complaints and praises. Then, create genuine responses to address these comments and concerns. Use that information to improve future business operations and processes. This will help customers feel valued and heard. That will ultimately lead to them having a better image of your company and produce a much better brand reputation for your business both online and off. If you want to use social media marketing to boost business reputation and establish a responsive business presence online, use all your social media platforms to listen to and hear your customers. You want your content to be relevant, but you also want the content to feel unique and of value. In order to achieve those goals, a great place to begin improvements towards social media is thru mobile devices. Our culture has developed go-go mentality. Given the millennial generation’s growth in the business market, strengthening easier access for mobile users is a highly winnable investment. Start thinking about your customer’s emotions. Trust your online users to spread your name. The ability to “share” information on social media is extremely accessible. There is no reason to sound like a salesmen. Customers want to gain your trust, once they have it, the confidence for them to spread your business is limitless. It’s imperative to interact with your online community. People want to see the passion behind your product. If you make it a habit of routinely interacting with online visitors you can expect people to start a gaining a stronger perception of your character. “Like” a post, reply back to interesting questions a customer has asked you. Answer their questions using transparency, while remembering that you’re a business, and that professionalism is required around the clock. Being visually engaging is difficult on social media. But, that does not mean you cannot be as thorough as possible. Invest time into the “about” section. Post fascinating images. Embellish your brand’s image. Make sure that your post are edited. These are some of the best strategies to create a social media presence and to create a landing page. They are easily transferable skills that will benefit your entire online presence. As hard as it may seem, try and do your best in terms of posting comments of quality content. Don’t just stick to one singular theme. Change up your posts’ style and tone every once in a while, while still focusing on finding a way to relate to your consumers. From funny to inspiring, whimsical to shocking—keeping your online community on their toes can have a huge impact. Just like you do with business greetings, you should uphold these same standards for comments and content on social media. As a business, your endorsement of another brand has value. Potential “followers” of your brand commonly consider whom you choose to follow, as it may shed light on what type of ethics and beliefs are at the core of your company. Many of the best CEOs are followed widely on twitter and every tweet is carefully read. For instance, you do not want to follow George Soros if you own a children’s toy store. Save that for your personal page. Many people believe that social news aggregators are no longer popular. However, this is largely untrue. Sites like Digg, Stumbleupon and, most notably, Reddit, are still incredible popular social news aggregators for you to make use of your branding style guide template. If you want your content to go viral, make use of them! Reddit users are some of the most influential internet users. So, if you want your small business to have the best social media marketing, remember to take advantage of news aggregator platforms. 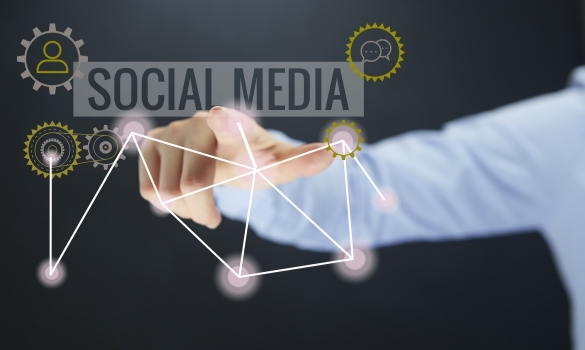 When routinely using social media, you should be a source of news for your online community. With this mind, it’s important that you keep alert of industry new and/or finding a way to connect your brand or product with a specific news story. If you don’t have some grasp in journalistic marketing, consider benefiting from social media marketing at a disadvantage. Provide trust into your followers, and be the first one to break a news story. Get alerts sent to your phone and start engaging as fast you can.